Douwe B. Yntema was the son of Hessel O. Yntema. On February 9, 1833, Hessel married Klaaske van der Kooi. The Yntemas had nine children, but only three survived to adulthood. Yntema was the youngest child, born on May 31, 1851. The Yntema family had a deep appreciation for education and learning, which extended to Yntema from his parents and ancestors. Later in life, Yntema continued this tradition, handing down this commitment to education to his children. Yntema was a leader in his community and major advocate of formal education. His young life, professional career, and the academic achievements of his children reveal the value that he placed on hard work and learning. This outlook was characteristic of the educational developments in Michigan during the nineteenth century. In 1958, Mary E. Yntema, Douwe Yntema’s wife, published a collective genealogy providing an in-depth heritage study of her husband’s ancestors. Records of the family date back to the 1650s, before they emigrated from the Netherlands to the United States. The Yntemas were proud Frisians – a people from the shores of the North Sea region dating back to at least 50 B.C.E. Although the Frisian people lived close to their Dutch relatives, their dialect more closely resembled English-Scottish rather than traditional Dutch. Mary’s book chronicled the Yntema family’s journey from the northwestern region of the Netherlands to the United States in 1947, as well as a brief history of the Frisian people. Hessel Yntema, Douwe Yntema’s father, and his young family settled in Vriesland, Michigan, after traveling by boat through the Great Lakes. Unlike the rest of his siblings, Douwe Yntema was the only child born after his family arrived in the United States. The Yntema family had a deeply rooted faith which affected their daily routine and belief system. Hessel Yntema, owned land on the outskirts of Zeeland Township. He farmed the land but still made an effort to dedicate time to his faith. Hessel Yntema helped to organize and run a Frisian protestant church upon his arrival to the Vriesland area. As an elder at the local church, he occasionally preached when the pastor was unavailable. It was in this hardworking and religiously-oriented environment that Douwe Yntema grew up and that shaped his future values. The Yntema’s were hard workers who expected no less of their children, particularly when it came to education. During this time in the southwest Michigan region, families had to work hard to give their children an education. It was typical for a Frisian family to send only one of their children to school to get training to become a pastor or missionary. This was due to the cost of formal education during this time and the detriment of losing a worker on the family farm. The Yntema family pushed back against this societal norm and educated all three of their children: Sjoerd, Susan, and Douwe Yntema. Through hard work and with a great deal of family support, Douwe Yntema attended Hope Preparatory School in Holland, Michigan with the hope of achieving a college education. As a student, he boarded at Hope during the week. On Monday mornings, he woke up before dawn to walk the eight miles to school. After completing preparatory school, Yntema continued his studies at Hope College in Holland, Michigan from 1872 to 1876. He was in one of the first classes to graduate from the school along with four other young men at age twenty-five. His mature age may, in part, be due to the financial burden of putting children through school on a rural farmer’s salary, and the dependency on the harvest schedule that a farmer’s son had to work around. At Hope College, Yntema studied both chemistry and physics before either department was fully developed. The school was still in its infancy as a higher learning institution. Its focus in the early 1870s remained on theological training. After graduation, Yntema moved east to Ypsilanti, Michigan to attend Michigan State Normal School for a year. Yntema focused on education with the intent to teach science. He graduated with his A. M. degree in 1877. Upon completing his studies at the Normal School, Yntema moved eighty miles north to St. John, Michigan. There he accepted the position of Superintendent of Schools; he stayed in this position for over ten years. It was also at this time that he met a young elementary teacher named Mary Elizabeth Loomis who worked in the St. John schools. At the age of thirty-seven, Yntema married Mary Elizabeth, the daughter of Leonard and Elizabeth Loomis. Their wedding was held on December 27, 1888 in her home town of Greenbush Township, Michigan. In 1891, Hope College offered Yntema a position within the science department. The newly married couple moved westward to Holland, Michigan. The current college president, President Gerrit J. Kollen, chose Yntema specifically to teach at the school and more fully develop science education on the campus. Yntema’s relationship with President Kollen extended all the way back to his adolescence, having graduated from Hope College with him. During the day, Yntema worked to revitalize the science department by developing chemistry and physics curriculum. Yntema brought in Dr. Almond T. Godfrey and Dr. Samuel O. Mast to help teach chemistry and biology respectively. He also equipped two new laboratories to specifically expand the astronomy and physics courses offered at the school. In the fall of 1909, President Kollen named Yntema a professor of physics. Although academics were a major part of Yntema’s life, his interests were widespread and diverse in the Holland community. Upon moving to Holland, he and his wife, Mary, purchased a ninety acre plot. Yntema became known as a successful farmer in the region with Mary’s help. He also held directorships at the Peoples State Bank, Holland Sugar Company, and Standard Grocery and Milling Company. As an academic, farmer, and businessman, Yntema gained a great deal of respect in the community. While in Holland, Douwe and Mary Yntema had six children together, five boys and one girl. Mary Yntema worked on the family farm and took care of their growing family. She also taught her six young children. As a former teacher, Mary had obtained a higher level of education than was normal for a woman during this time. Like their parents before them, Douwe and Mary Yntema passed on a dedication and passion for learning to their children, education always being the priority. The children recalled in an interview that they were allowed as much time as necessary to complete their studies, but once they were done studying they had to go out in work on the farm. All six of the children attended Hope College and several went on to receive higher degrees. The Yntema’s first child, Hessel Edward, was born on January 17, 1891. Hessel Yntema studied at the University of Michigan, Harvard University, and the University of Stockholm, along with Hope College. He returned to Michigan as a practicing lawyer and editor of the American Journal of Comparative Law. The second child born was Leonard Francis on July 29, 1892. In addition to Hope College, Leonard Yntema also studied at the University of Illinois where he eventually became a professor of Chemistry. 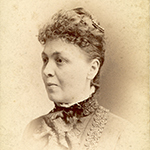 Two years later, the couple had their first and only girl, Clara Elizabeth, who became a Latin and mathematics teacher after graduating from Hope College and the University of Michigan. With the turn of the century, the Yntema’s fourth child, Theodore Otte, was born on April 8, 1900. Theodore studied at Hope College and the University of Chicago before becoming a Second Lieutenant in World War I and a Professor of Business. Dwight Baldwin was born on February 4, 1902 and was the couple’s fifth child. Dwight Yntema studied at Hope College and the University of Michigan. During the Great Depression, he worked in Washington as a government statistician and economist, before he was asked to teach economics at Hope College. In the fall of 1904, their last child, Chester Loomis, was born. Chester Yntema graduated from Hope College and Yale University before becoming a Professor of Anatomy. 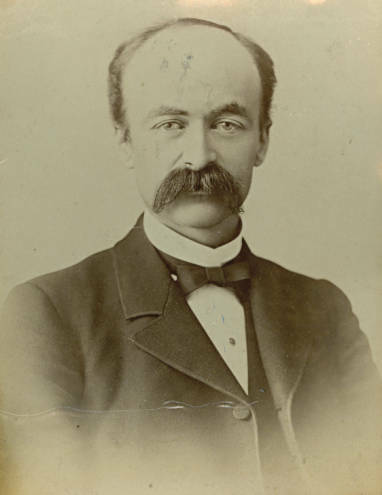 Douwe Yntema not only pushed his own children to pursue an education, he was also a proponent of education for the Holland community and surrounding region. During the summer months, when classes were not in session, Yntema would travel the countryside speaking with local farmers. His goal was to get the rural community interested in higher education. If the family showed interest and had the means to pay for school, Yntema helped them apply to Hope College and made the necessary arrangements. The dedication to education that the Yntema family embodied was a reflection of the progressive educational spirit in Michigan. The state of Michigan had always been a leader in the development of the educational field. In 1809, when Michigan was still a territory, it developed the General School Law which was revolutionary in the way that it organized school districts, conducted school censuses, and implemented school taxation. As Michigan applied for statehood, it had one of the most developed education systems outlined in its constitution. The Yntema family, with their enthusiasm for education, fit in well within their home state. Yntema retired from his position at Hope College in 1916. His impact on the college community was undeniable. His work to revitalize the school’s science department was the foundation for the current department’s academic success. Unfortunately, old age came quickly for Yntema, who struggled with his deteriorating health. After twenty-three years of service to the school, it had become too much. After taking ill, Yntema passed away on November 4, 1920. His wife, Mary, felt the immense outreach from the community. Hope College faculty, students and alumni came together to mourn the loss by visiting Mary and writing articles celebrating Yntema’s life and work. The family buried him at the Pilgrim Home Cemetery in Holland, Michigan. Yntema’s enthusiasm for academia and support for widespread learning weaved a common thread throughout his life. Since childhood, Yntema’s parents instilled in him a high value for education. As an adult, Yntema continued that tradition with his wife by helping his children and others receive a meaningful education. Yntema’s career as a superintendent and professor allowed him to reach out to many different students. His career was a testament to the evolving academic field in Michigan during the nineteenth century. Good, Harry G. A History of American Education, 3rd ed. New York: MacMillan Company, 1973. H88-0206, Douwe Yntema, 1883-1949, Joint Archives of Holland, Hope College, Holland, MI. Stegenga, Preston J. Anchor of Hope. Grand Rapids, MI: WM. B. Eerdmans Publishing Co., 1954.